Premier Drives Global (PDG) offers an extensive fleet of late-model vehicles including Sedans, Vans, Limousines, Mercedes Sprinters, Mini Buses and Motor Coaches across the US and around the world. Choose PDG for an airport transfer for one, business or event transportation for 2 to 2000, shuttle buses for a corporate event, or a Mercedes Sprinter Van for your executive meeting. Premier Drives Global was recently named the 2017 National Operator of the Year by our industry association and trade magazine – making this the third time we have won this award in the three different fleet size categories (2009, 2011, and 2017). We have also won numerous national affiliate awards as well as many local awards and honors, including an A+ rating (the highest ranking) from the Better Business Bureau. Our experienced staff, including our global affiliates and highly professional chauffeurs worldwide, are committed to providing safe and reliable transportation, exceptional customer service, and consistent and equitable pricing. The Premier offices are open twenty four hours a day, seven days a week, three hundred and sixty five days a year. We provide in-house dispatchers who support our clients and chauffeurs at all hours of the day or night, so you can call from anywhere in the world and always reach a live representative. Additionally, our Groups and Logistics specialists frequently travel with our national groups to lend a helping hand to the local dispatch team and chauffeur corps. You name the occasion and we will make the ride flawless. Whether you require a chauffeured vehicle for business or pleasure, close to home or in a new city, Premier Drives Global is just a click, email or phone call away. Eric Devlin is the owner and president of Premier Transportation Services, which he founded in 1996 with two vehicles and three employees. Today, the company has over 90 vehicles, 125 employees and thousands of loyal corporate clients. In addition to serving the Dallas-Fort Worth market, Premier has created a worldwide network (The Premier Global Network) to provide ground transportation solutions anywhere in the world – truly a one-stop shopping experience! Premier Transportation, which is a nationally and locally award-winning company, provides corporate ground transportation utilizing town cars, limousines, executive vans, mini buses and limo buses. In November of 2015, Premier started its Motor Coach/Tour division and now has eight (8) brand new MCI J4500 56 passenger motor coaches. “We are not just a corporate provider, however! We are so honored that our clients think to use Premier for their family get-togethers, proms, weddings, and vacations all around the world,” Devlin says. Many of the original clients from 1996 still use Premier Transportation for all of their chauffeured transportation needs today because they know they can expect excellence from the company. 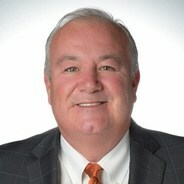 A graduate of Baylor University in 1989 with a BA in Marketing/Management, Devlin began his career as an auto underwriter with State Farm Insurance Company in Columbia, Missouri. In 1996, he and his wife moved back to Dallas. In a recent newspaper article, Devlin explained, “I quickly learned that you DO NOT take a Texan out of Texas.” When the reporter asked about his proudest moment, he answered, “Other than my marriage and the birth of my kids, it was being selected as the NorthStar Award Recipient for Entrepreneurism and Philanthropy.” In this same vain, Devlin and the Premier Team was awarded the LCT’s People’s Choice Award – Gold Star National Award - for their 2016 donation of services for the fallen Dallas Police Officers during the attack of July 2016. In the past, Devlin has served as an active member of the Interfaith Housing Coalition (IHC) board of directors and is a devoted advocate of the organization, which serves homeless families with children. Under his leadership, renovation was completed of the Beltzer Hope Community Center for resident services, job search, case management, children and teen activities, and community outreach programs. Mr. and Mrs. Devlin, who have been married nearly 26 years, have two college-aged children. Mr. Devlin enjoys golfing, boating, cheering on his favorite Missouri Tigers and Baylor Bears, and spending time at his family ranch in the Texas Hill Country.